DACA is a program designed to increase the educational attainment and economic productivity of young immigrants. A temporary work authorization allows DACA recipients greater access to higher education, employment opportunities, and higher wages. These newfound opportunities translate into higher tax revenue and economic growth. DACA shows what happens when Dreamers have the tools to succeed. 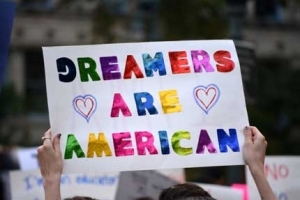 Deferred action has also shown to have a positive impact on the mental health of beneficiaries as it removes the fear of detention and deportation. An overwhelming sense of rejection, feeling unwanted, accompanied by the constant threat of deportation translates into intense feelings of hopelessness, anxiety, or depression. As the psychological well-being of young immigrants improves, they are free to focus on discovering their interests, developing their careers, and becoming productive contributors to the economy. Still, there are roughly 643,000 eligible recipients opting out of the program. A driving factor behind this number has been attributed to a fear of tactics used at different levels of the government. With some eligible recipients still not enrolled in the program, local and state economies lose avenues for revenue. If the entire undocumented community had the opportunity to experience life with access to adequate resources and without fear, their financial contributions could also be maximized. Undocumented immigrants residing in the United States already contribute more than $11.74 billion in state and local taxes, a figure that would surely grow if more immigrants could access a viable pathway to documented status. Undocumented immigrants are part of the economic backbone of the United States and their economic contributions are a testament on the power of their presence in this country. The continued relegation of undocumented immigrants to spaces of invisibility and illegitimacy is a threat to the financial well-being of the United States and its constituents. The anti-immigrant rhetoric has served as a distraction and public officials must begin to pay closer attention to fixing the real problems in the economy. Lissette Guerrero is an intern with the Budget & Tax Center and the Immigrant Refugee Rights Project, projects of the NC Justice Center.